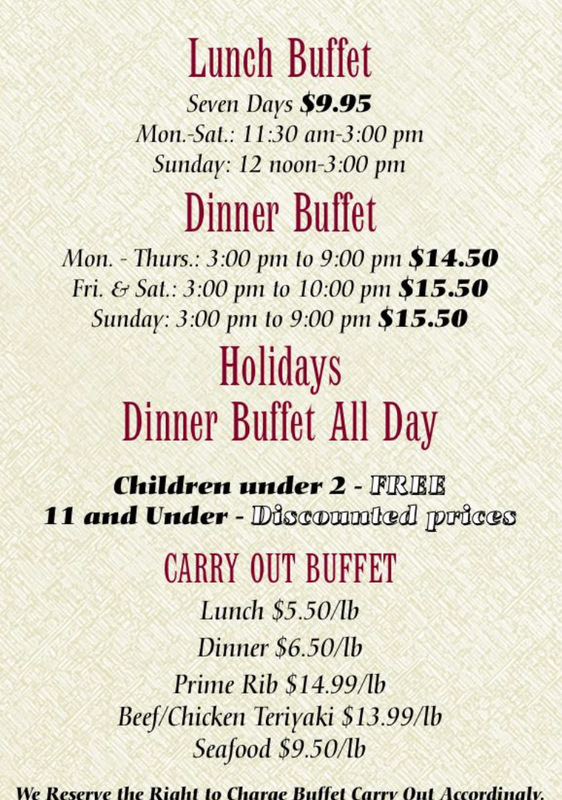 In 1987, Hong Kong Restaurant opened as one of the first Chinese buffets in Rhode Island. Hong Kong Restaurant sparked interest in and became a favorite destination for many avid Asian buffet goers. Due to the immense amounts of appreciation and recognition from its loyal customers, Hong Kong Restaurant relocated to 1776 Cranston Street, Cranston, Rhode Island and was renamed to Hong Kong Buffet. Hong Kong Buffet’s main focus and mission is solely quality, which separates this buffet from its competitors. It serves excellent dining quality at moderate prices with something for every customer to enjoy. Hong Kong Buffet serves a variety of different food. This includes its famous salad bar, a variety of exotic sushi, and both American and Asian dishes. Hong Kong Buffet also offers prime ribs and fillets of steak during dinner buffet on the weekends and holidays. Hong Kong Buffet is popular because it offers plenty of food variety at a reasonable price. Hong Kong Buffet’s mission will always be to serve food with superior quality and a variety of food.